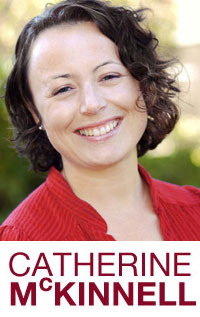 Newcastle North MP, Catherine McKinnell, attended an event in Parliament recently to hear more from the MS Society and people living with multiple sclerosis (MS) about the impact of the disability benefit, Personal Independence Payment (PIP), on their lives – and particularly the devastating consequences of PIP’s ‘20 metre rule’. This aspect of PIP means that if a person can walk just one step more than 20 metres, they won’t qualify for the higher rate of PIP mobility support – which fails to acknowledge how painful, exhausting and expensive living with MS can be. Adapted cars, treatments and therapies (such as physiotherapy and counselling), as well as higher gas and electricity bills, are just some of the additional costs many people with MS face. And, according to new research by the MS Society, published in their report PIP: A step too far, the 20 metre rule is causing people with MS lose support at an alarming scale. The charity has calculated benefit cuts to people with MS are also costing the NHS at least an additional £7.7 million a year in GP and A&E services. Under the previous benefit, Disability Living Allowance (DLA), people who couldn’t walk more than 50 metres were eligible for the higher rate of mobility support. But under PIP that measure has been reduced to 20 metres. 94% of people with MS who were receiving DLA were getting the higher rate of mobility support, but under PIP this has fallen to just 66%. 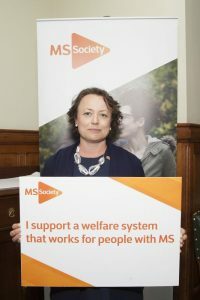 The MS Society is calling on people to sign a petition to Esther McVey, Secretary of State for Work and Pensions, urging the Government to scrap the 20 metre rule. ‘I know from my own casework just how devastating the introduction of the Personal Independence Payment has been for so many disabled people across Newcastle, including hundreds living with MS.
‘It’s clear that the assessment process for this benefit is totally flawed and entirely unfit for purpose – and the 20 metre rule is just another example of a system that has been set up without any consideration for how a person’s condition can affect their everyday life. ‘Contrary to the Government’s insistence that PIP is meant to help those with the greatest needs, the truth is it’s causing enormous harm to people with MS, with many losing their independence as a result. This senseless and unfounded rule is leading to people with the highest need facing the biggest losses, and costing our NHS at least an extra £7.7 million each year. Amongst other calls to improve PIP, the MS Society wants the Government to work with disabled people, charities and healthcare professionals to review and redesign the measure for the higher rate of PIP mobility support. In the meantime the 50 metre threshold should be reinstated.